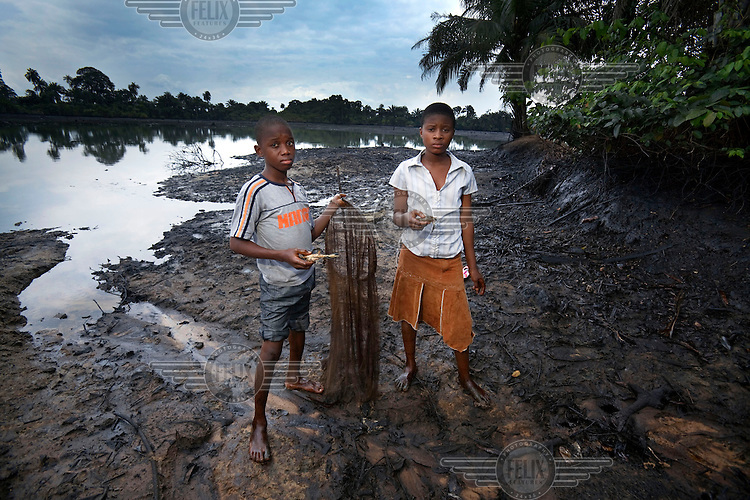 Victor and Queen Dooh, at one of their family's fish ponds that was completely destroyed by an oil spill from a Shell pipeline. The family launched proceedings against the oil giant in 2009. Restrictions: Not available in the Netherlands.